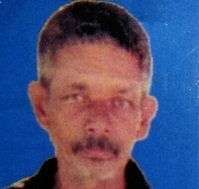 Maju Das, a 51-year old poor man of Bonai Pathalial village under Teok police station in Jorhat district of Assam has been missing since last seven months. According to family members, Maju Das proceeded to Nasik by a train on May 14 this year along with his son and son’s friends in search of a job. On May 18, he got down from the train in Etachi station to buy some food items. However, he did not return to his compartment. After reaching Nasik Maju Das’ son discovered that his father was missing and came back to Etachi on May 20 searching for his father. However, all his attempts to find out his missing father yielded no results. Since then family members are passing their time with great anxieties. They have made fervent appeal to the people to call 8638124262 or inform Teok police station if anyone finds Maju Das or knows his whereabouts.